Around 320 employees at Nintendo of Europe will lose their jobs this week, the company confirmed to Kotaku today. 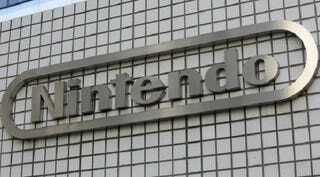 That number includes around 130 full-time Nintendo of Europe employees—as was reported in June—and an additional 190 who worked for the company's Germany-based localization department by way of a leasing agency. Though technically those 190 people were temporary employees, in practice, they all worked exclusively for Nintendo, and many of them had been working there for years, some have told Kotaku. All 320 people will be out of jobs by August 31. In June, Eurogamer and other gaming outlets reported that Nintendo of Europe had laid off 130 people as part of a restructuring, but in the weeks and months afterwards, people affected by the layoffs reached out to tell me that the full scale had not been properly reported. NOE will now outsource the localization and testing that was previously done by these staff. As previously communicated in June 2014, approximately 130 permanent employees will be released by Nintendo of Europe (Germany) at the end of August 2014 as part of a set of measures to better enable the European business to adapt to the rapidly changing business environment. As a separate measure, Nintendo of Europe is reorganizing its European Localization Development (ELD) department, where it currently uses a number of temporary agency workers in translation and testing activities, in order to increase flexibility and cost-efficiency in the long-term. It is intended that there will be an increase in outsourcing future translation and test activities to third-party companies on an as-needed basis, and very sadly this has meant having ended the contracts of 190 temporary agency workers, who were formally notified of this decision in June 2014.